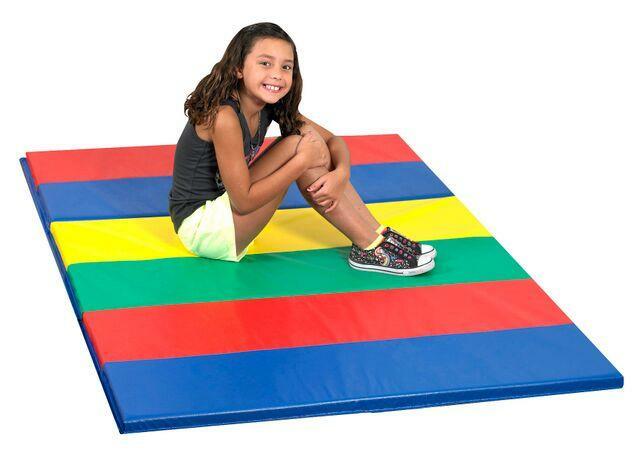 Put this mat under your indoor swing for safety. Hook and loop fasteners at both ends can fasten multiple mats together. Light and portable. Mats are 1. 5" thick with double folded seams and hems. Hook and loop fasteners at both ends can fasten multiple mats together. Light and portable, 14 oz. vinyl covers meet California specs for flame retardancy. All ages.